Wild Squirrel Nut Butter was founded in January 2011, shortly after University of Oregon students Erika Welsh and Keeley Tillotson made the first batch of homemade peanut butter in their apartment. Welsh and Tillotson hired Radiance Communications to help promote a May 11 appearance on ABC's entrepreneurial-focused reality show Shark Tank, drive consumer demand, and broaden distribution. Social media outreach, website www.WildSquirrelNutButter.com and a viewing party also drove awareness. Custom pitches and product samples were sent to national broadcast and print media outlets covering health, fitness, parenting, business, and teen topics. Morrison also engaged reporters on Twitter and used a “peanut butter rap” video previously created by Welsh and Tillotson to pique reporters' interest. 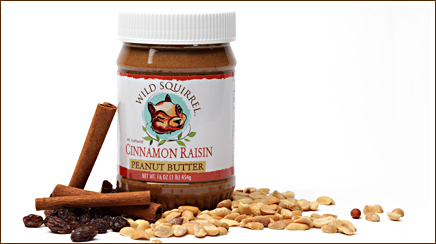 Shark Tank appearance announcements were posted to Wild Squirrel Nut Butter's Facebook and Twitter pages. A Shark Tank discount code was also promoted on the social media pages and the website. Morrison reached out to The National Peanut Board, which included product samples in its outreach to nutritionists and mom bloggers and posted information about Wild Squirrel Nut Butter on its website. Welsh and Tillotson wrote a blog post about their Shark Tank experience and updated company information. A Shark Tank viewing party was held May 11 at the University of Oregon's Portland campus for customers, bankers, friends, family, and local media. Welsh reports average online order amounts have increased from $25 prior to the campaign to about $50, and daily order volume is up from 10 to 50. The company landed a distribution deal in June that put product in 170 stores along the West Coast, up from 40 stores in Oregon. More than 30 stories (nearly 2 million impressions) ran in outlets including USA Today and Shape. Welsh notes media coverage led to an Amazon.com deal. Facebook followers are up from 1,460 prior to the campaign to more than 3,600 currently. Twitter followers jumped from 430 to nearly 1,000. Welsh hopes to work with the agency again, perhaps next year. The company is currently focused on expanding national distribution.